Bob the Builder the POKE A DORK pokes you until you are so mad you blow up. 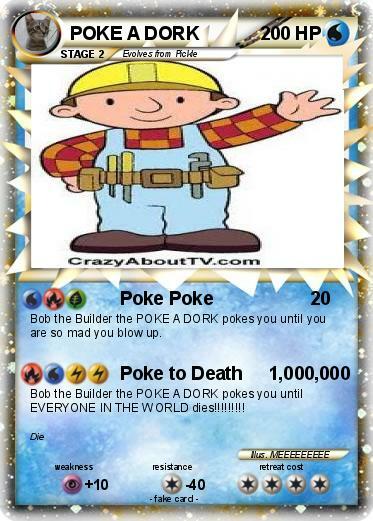 Bob the Builder the POKE A DORK pokes you until EVERYONE IN THE WORLD dies!!!!!!!! !